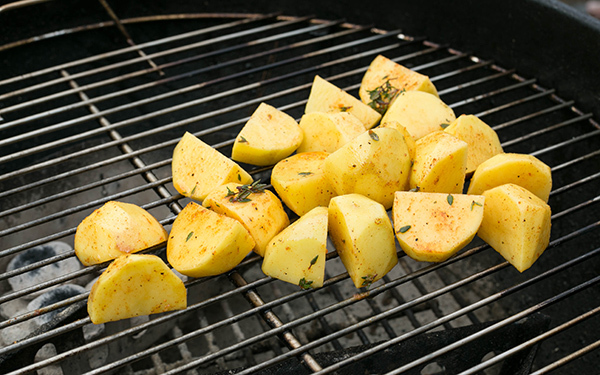 I love potatoes in many forms especially roasted in a barbecue pit. Cooking them in a grill adds some wonderful crust and smoky flavors. 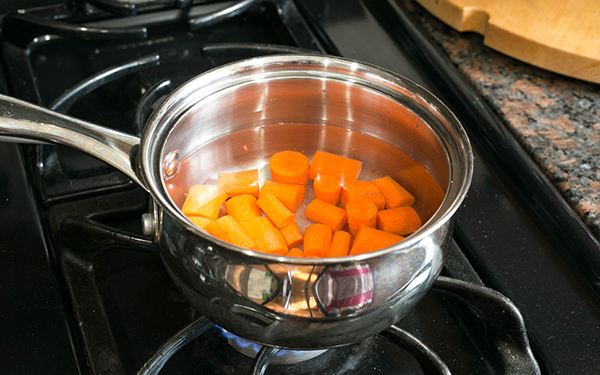 In this recipe, I roast and then grill the potatoes in my Weber kettle before serving them on top of a herbaceous ginger carrot sauce. 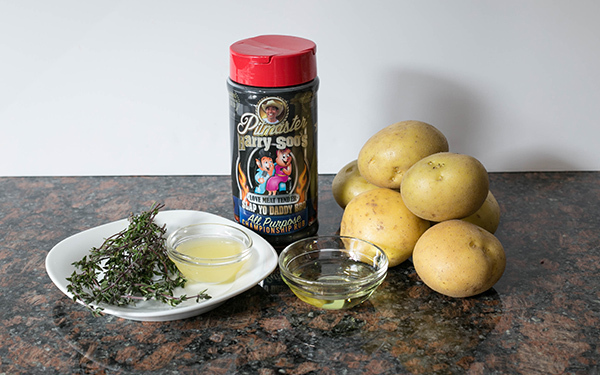 I tell my guests to spoon a little of the sauce on top of their potatoes before eating. 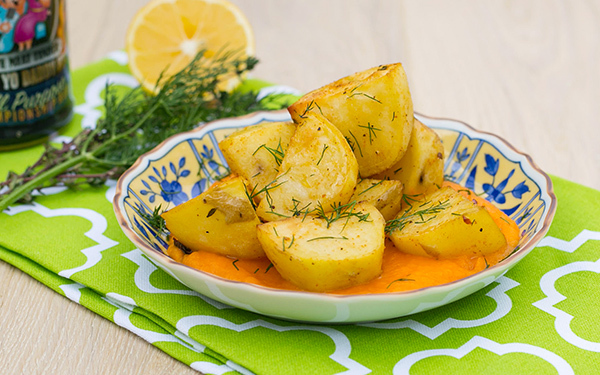 These potatoes are really easy to make and the carrot ginger sauce keeps for several days in the fridge. 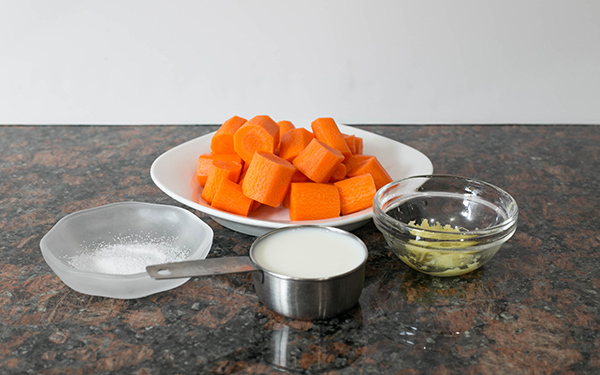 This side dish can hold its own as a main course and it perfectly complements grilled meats such as pork chops or grilled pork ribs. You can use any potato you like but I find Yukon Gold potatoes are my favorite. Red potatoes also work well. 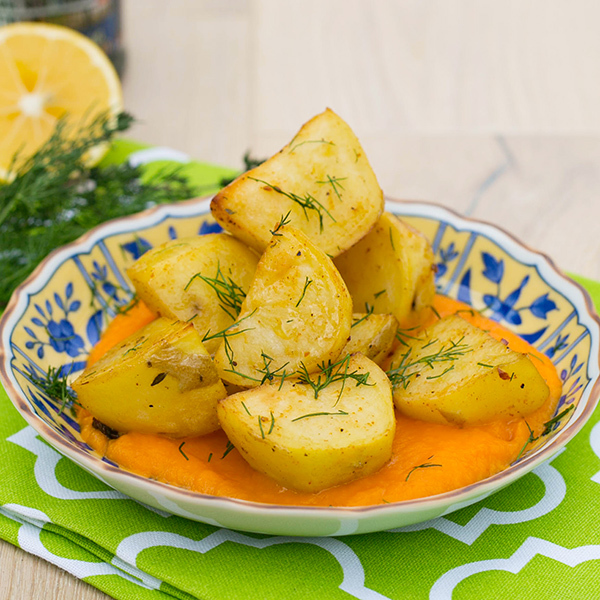 Toss peeled and cut potato wedges in a bowl with some vegetable oil. Mix in the fresh thyme and SYD rub or salt and pepper. Roast in indirect cool zone of your 300F pit or use your oven. 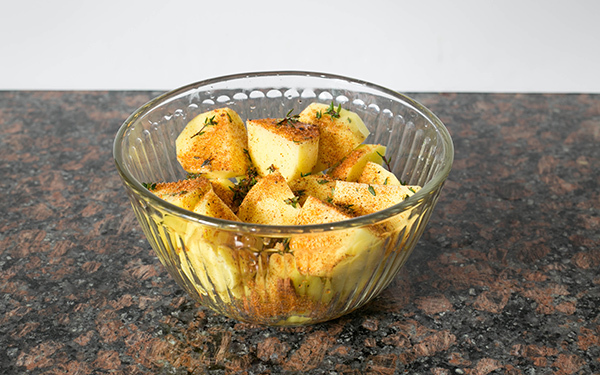 When wedges are tender, about 12-20 minutes, remove and place in a bowl. Toss with some lemon juice.